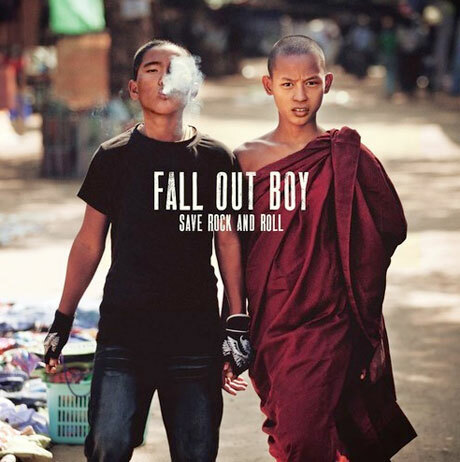 At least according to the album title, revived pop punk explorers Fall Out Boy are hoping to Save Rock and Roll, and you can decide for yourself if the band achieved their goal by checking out a full album stream ahead of the LP's April 16 due date. On top of a handful of previously premiered material like "The Phoenix" and "My Songs Know What You Did in the Dark," the stream lets us listen to the boombastic snap-and-piano arrangement of the Elton John-assisted title track, Courtney Love's venomously-spat spoken word section on the punky "Rat A Tat," and the Big Sean team-up "The Mighty Fall," among others. You can stream it all for yourself down below. As previously reported, Fall Out Boy have a number of global tour dates coming up, including stops in Toronto, Montreal and Vancouver. You can check the schedule here. Save Rock and Roll arrives via Island Records.